Who would ever have guessed how much shelter dogs love their armchairs? Well, actually, when you think about it, that should be no surprise. By thinking outside the box, and applying a little creativity, the lives of homeless pets are changing. This is what Knox County Humane Society did and now other organizations are following their lead. It all started earlier this year and shows how resourceful shelter staff are becoming in their efforts to boost pet adoptions. Read all about it here and see my favorite video, picked especially for you. Whenever he got the chance, the four-year resident would try and climb onto a computer chair in the front office to get a better view of who was coming and going. 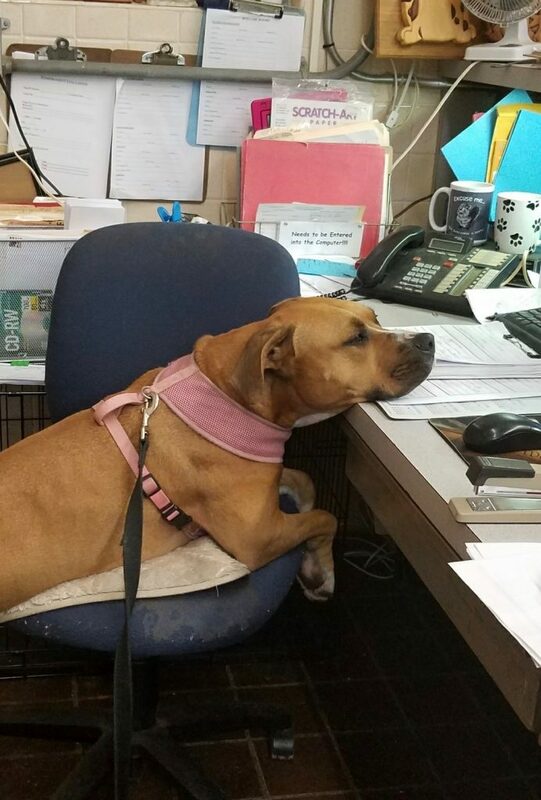 Then the staff at the Knox County Humane Society, Illinois, thought it was time he had his very own chair. So they tried out an old armchair and “Buster Brown” was as happy as could be. He no longer struggled to curl up into a ball. He could stretch his legs and rest his head on the arm. That’s how the armchair initiative began and there are now 25 of them being used inside individual kennels. Shelter Director, Erin Buckmaster explains the benefits and why the shelter dogs love their armchairs so much. “First of all, the dogs are off the floor and out of drafts. They are more comfortable and less stressed. 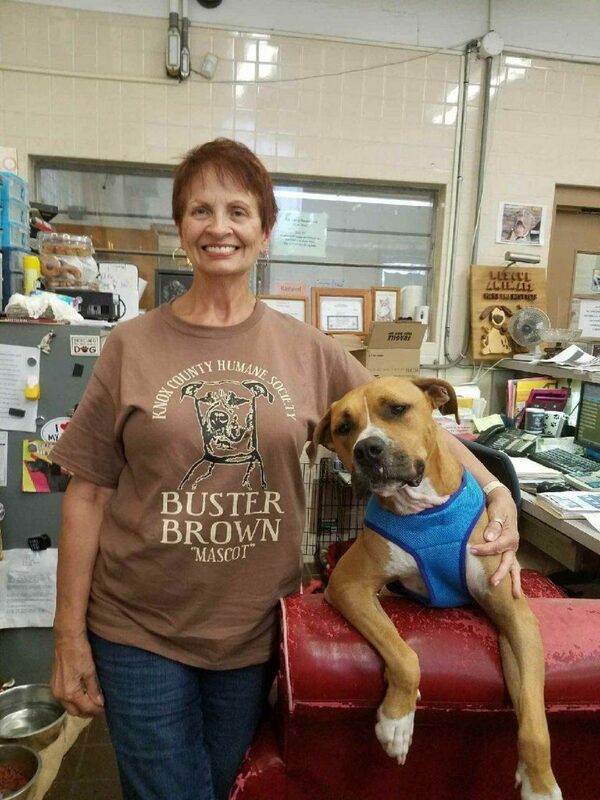 Because of this, their behavior improves and they become more adoptable,” she told us. Buckmaster then went on to mention that in February the first chairs were put in the lobby, in an area specially set up for the three dogs that had been at the shelter the longest. That way visitors see them as soon as they walk in and they can immediately visualize them relaxing on a chair or a sofa in their own home. It was a big hit. When the local community heard about about this, the response was amazing. In fact, the very first day, one lady showed up with 11 chairs she had bought at a thrift shop. It’s worth pointing out that donations are always welcome since the chairs are frequently replaced due to getting a bit chewed up and scratched. See for yourselves why shelter dogs love their armchairs so much. Video created by KCHS staff member, Tanner Smith. 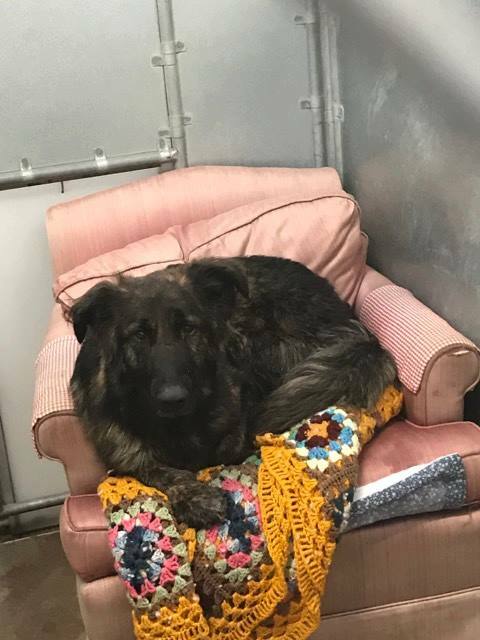 “When we heard about the success they were having with the armchairs at the Knox County shelter, we decided to try it out, too,” said Lissa Waters, Development Coordinator at West Valley Humane Society in Caldwell, Idaho. This is an open admission shelter in the Boise metro area, that takes in over 7,000 animals of all kinds every single year. And, they will have up to 100 dogs for adoption at any one time. A great example of an early success story relates to Roxy who was about 10 or 11 years old. “It’s always a lot harder to adopt out an older dog,” Waters commented. “She wasn’t doing well in this noisy setting but as soon as she was given a chair, she curled right up on her blanket and started to relax.” Staff took photos, then a local television crew came out, and Roxy was adopted a day or two later. What an inspirational story! West Valley Humane Society shelter dogs love their armchairs, especially when they are a perfect fit! An armchair is a comfort item that most homeless dogs are already accustomed to. And, because it has a calming effect, the canine’s stress level dips and it’s mood improves. As a result, it has a far greater chance of finding its forever home. And you can help, by spreading the word. Maybe you even have an old armchair to donate. The dogs will thank you for it! If you would like to donate or volunteer at either of these shelters, here is the contact information. I am sorry to report that “Buster Brown” passed away August 20 2018 due to congestive heart failure. R.I.P., sweet boy!